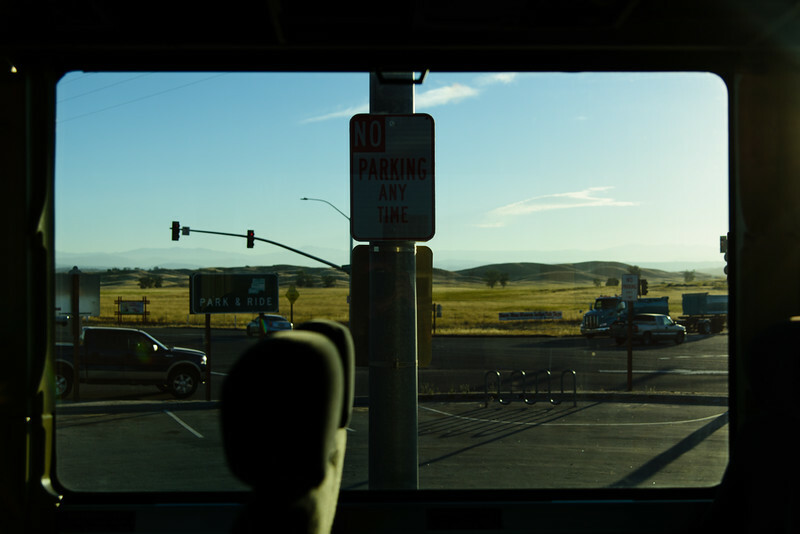 Rules don't apply to buses, apparently. 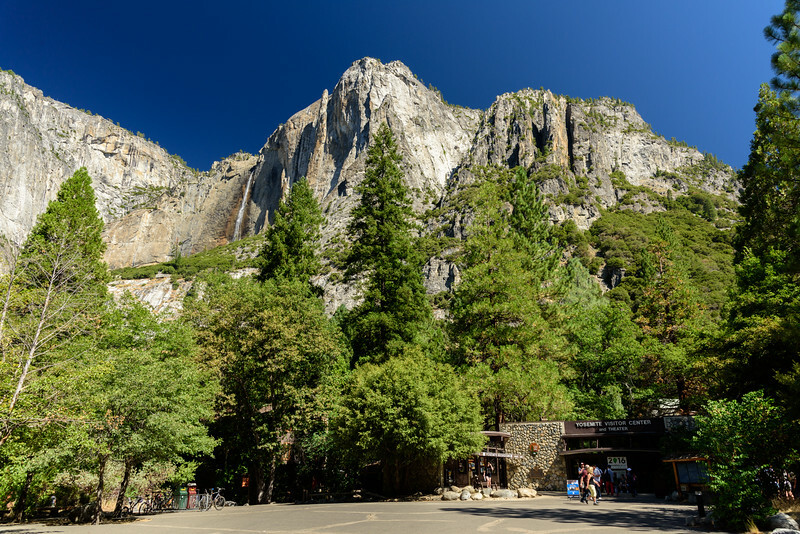 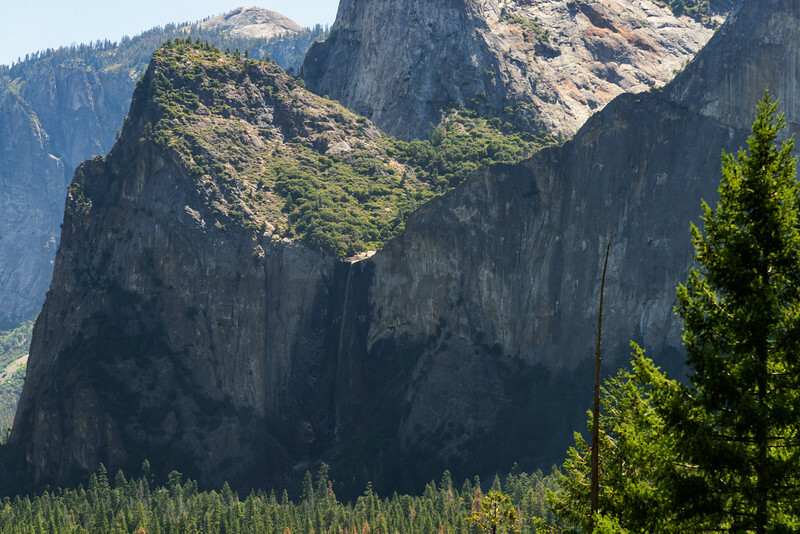 The visitor center is dwarfed by Upper Yosemite Falls. 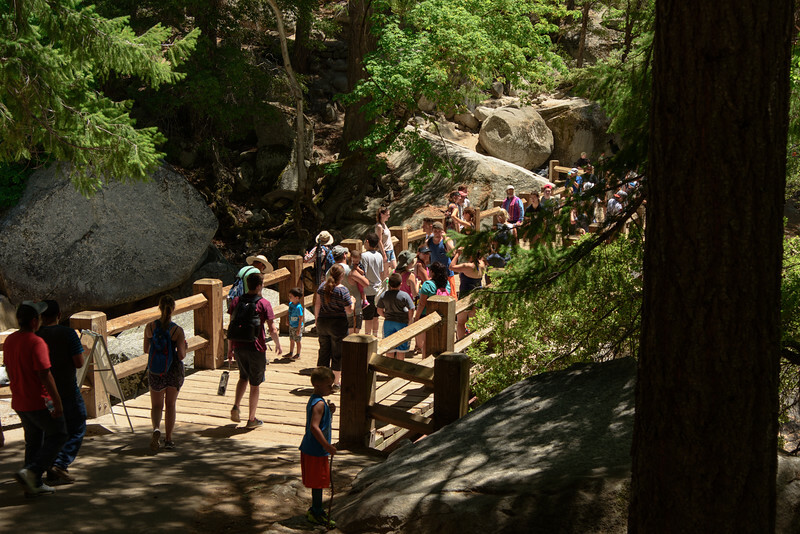 The bridge over the Merced River on the Mist Trail is a popular place. 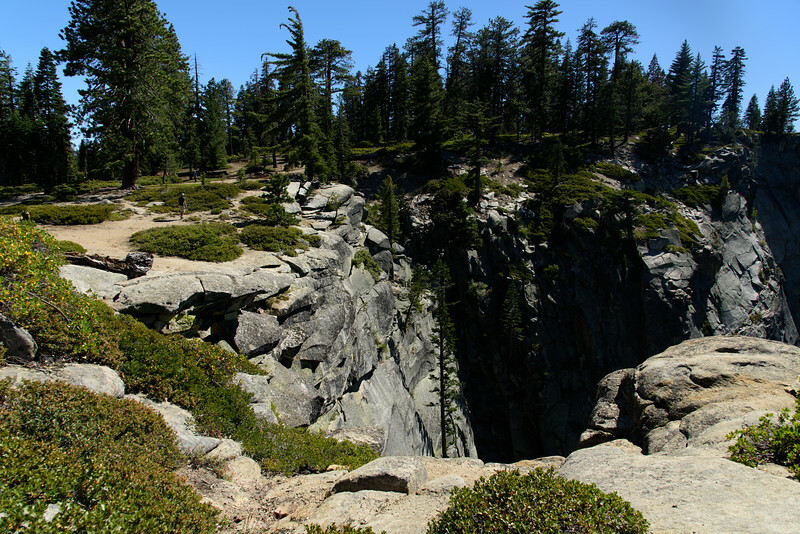 The trail here isn't yet crowded or narrow. 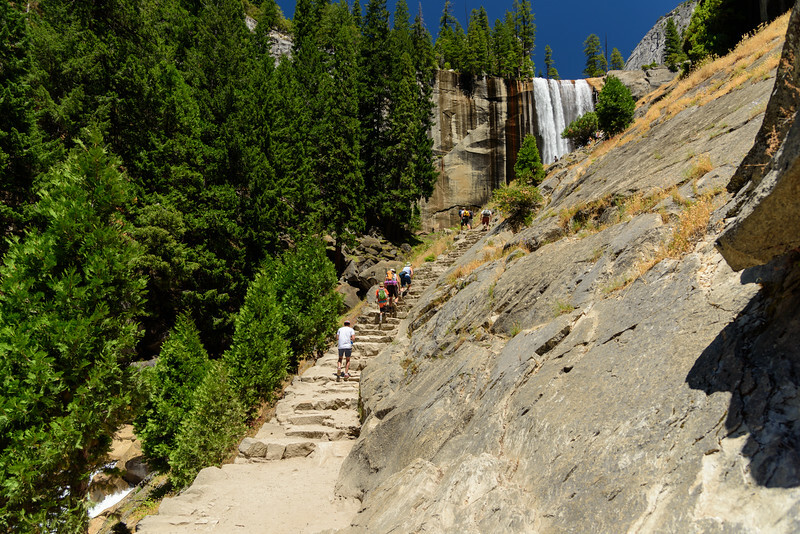 Here is where the Mist Trail gets its name. 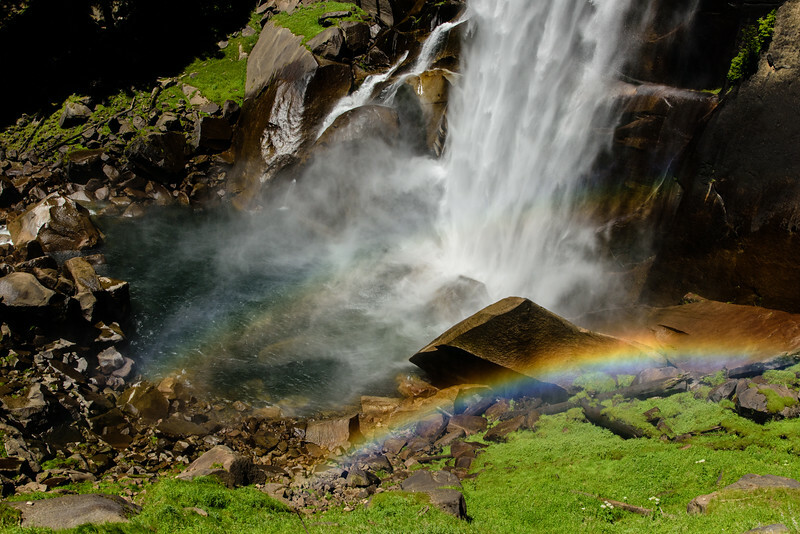 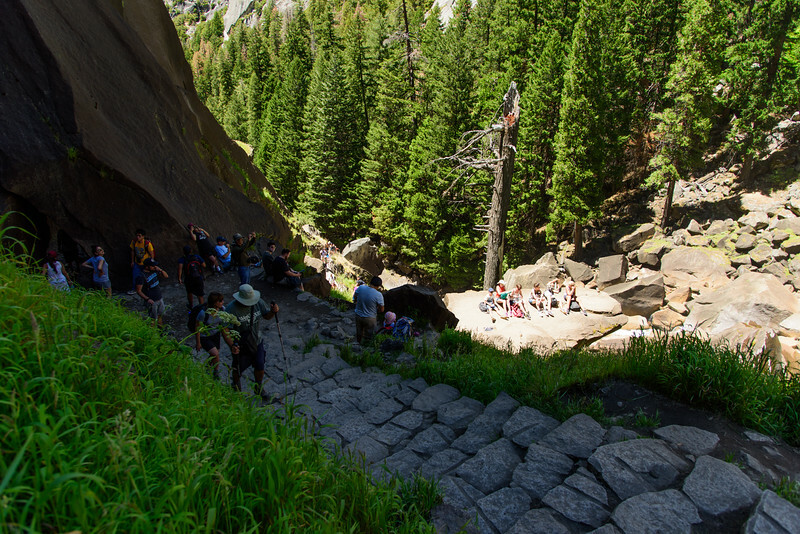 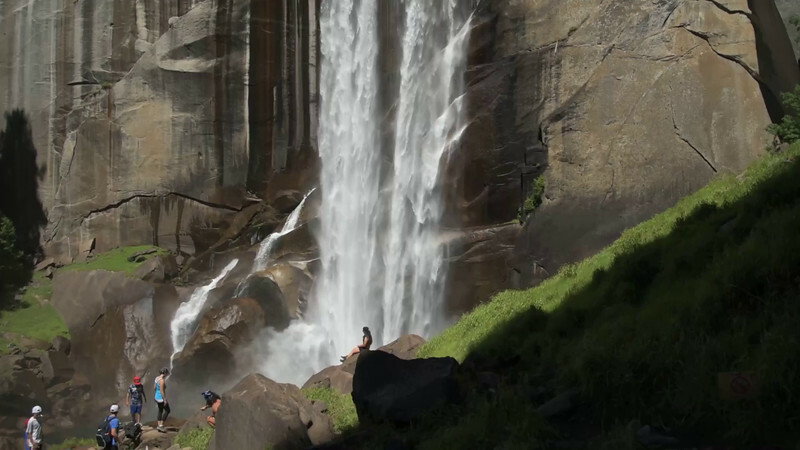 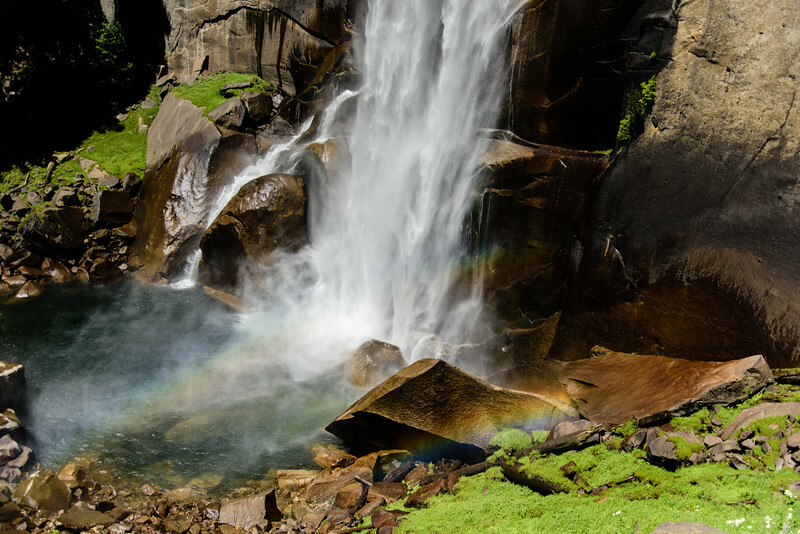 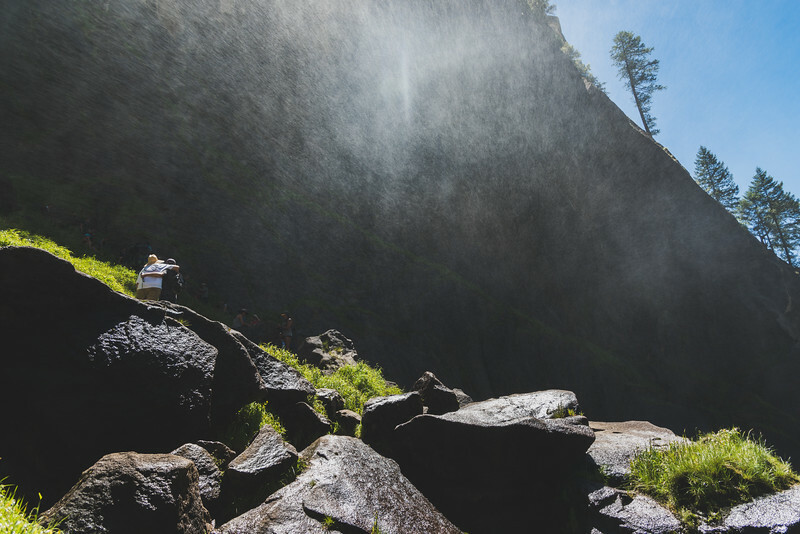 The pool at the base of Vernal Falls is a popular place to cool off. 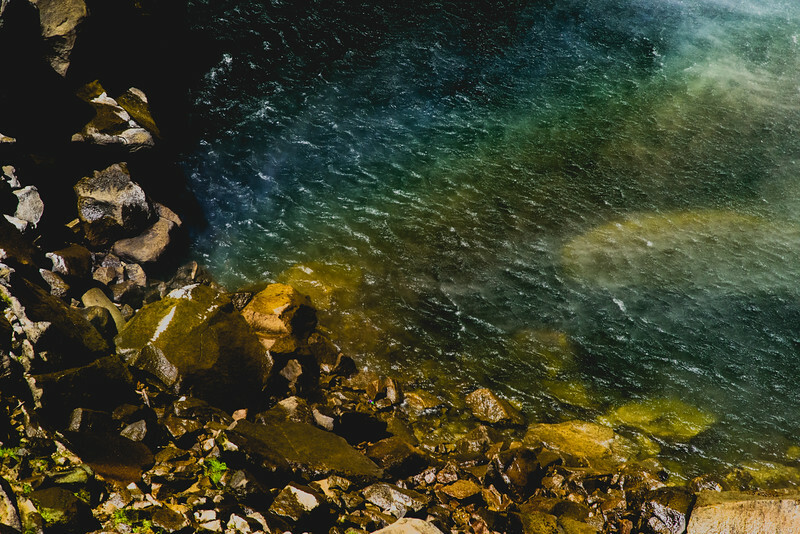 Surprisingly, no one was swimming there when I arrived. 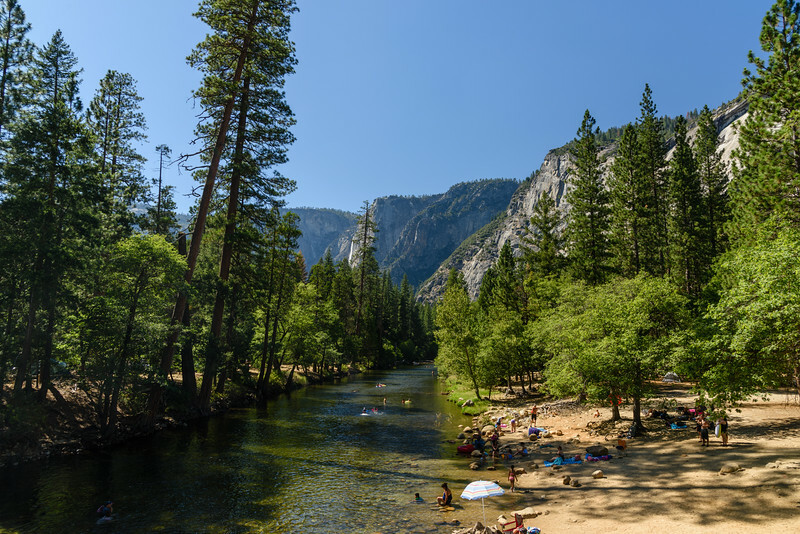 There are many sandy beaches along the Merced River in Yosemite Valley. 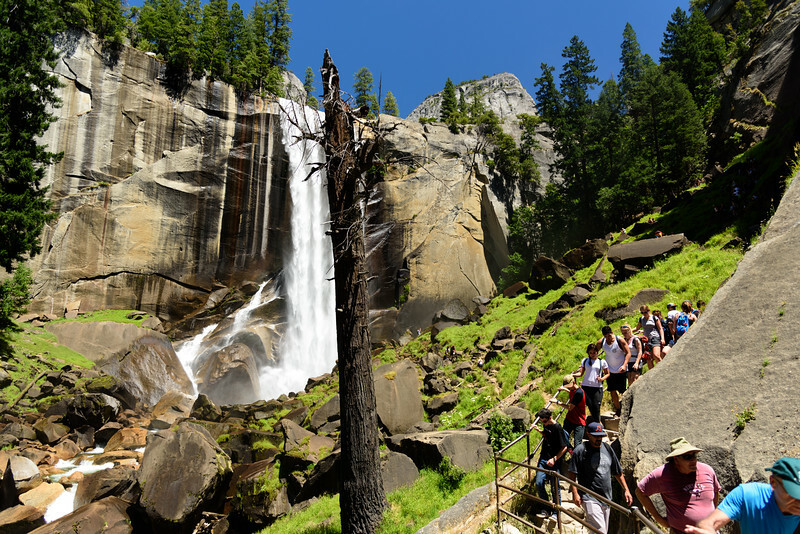 They are extremely popular with the car and RV campers (and day visitors). 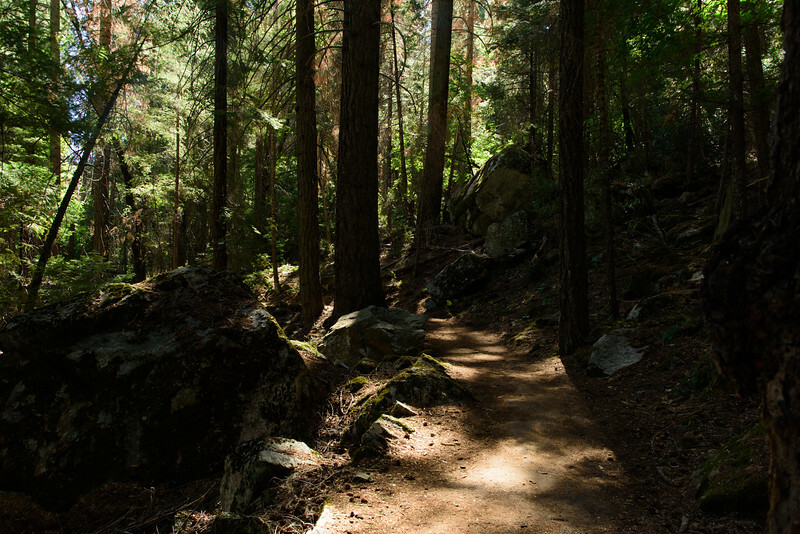 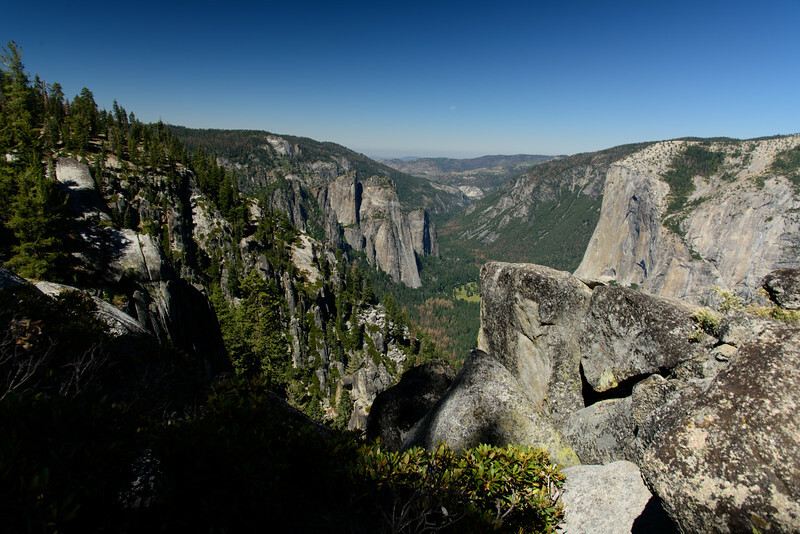 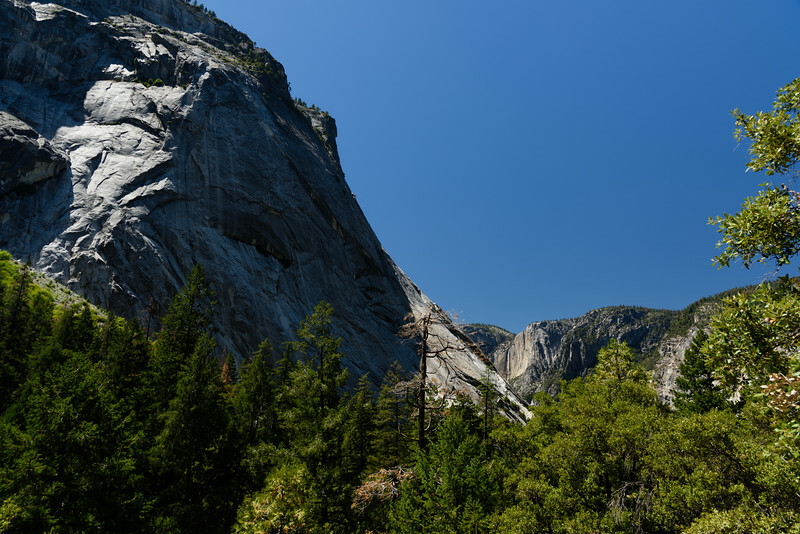 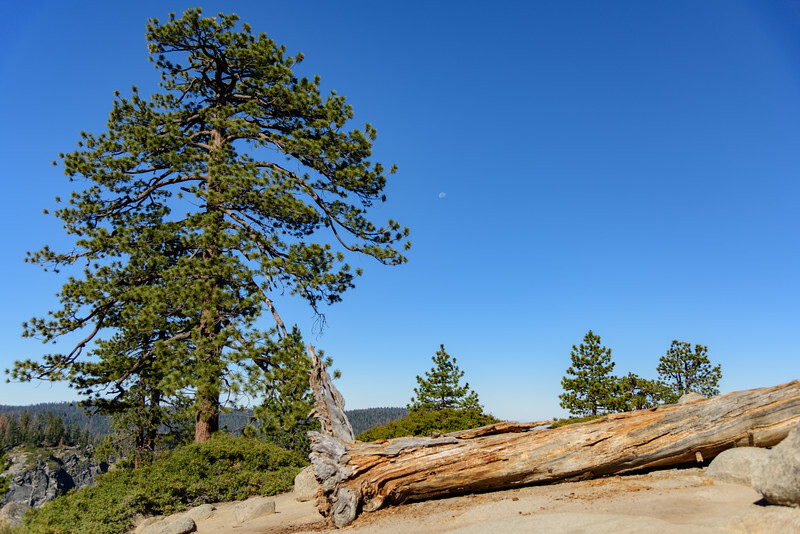 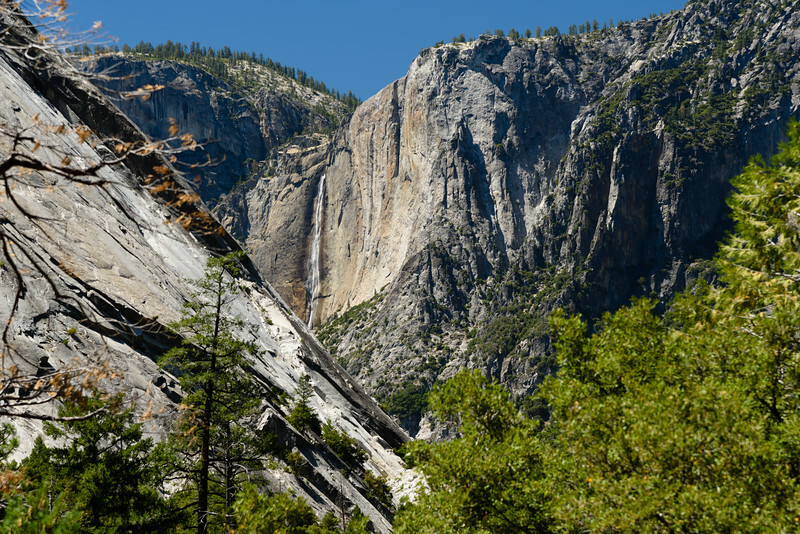 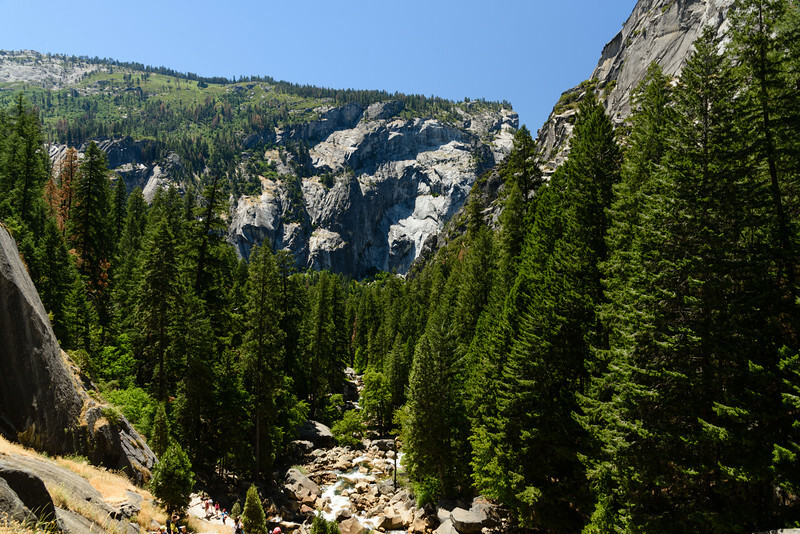 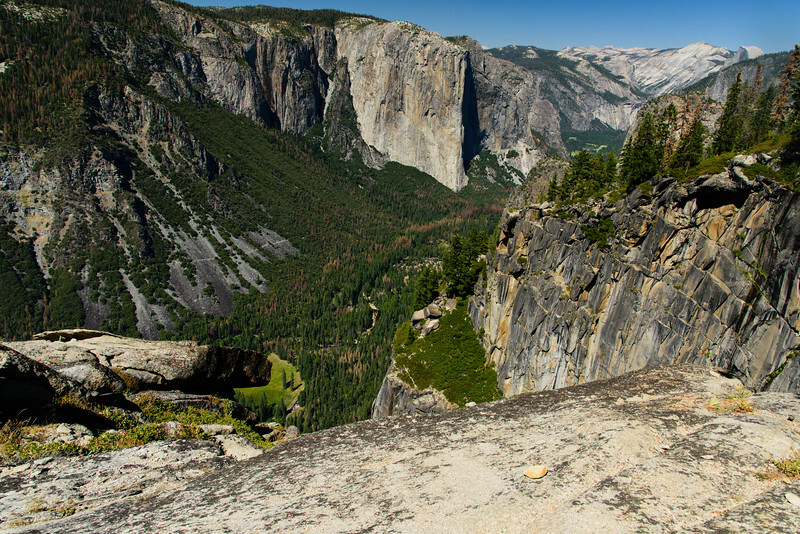 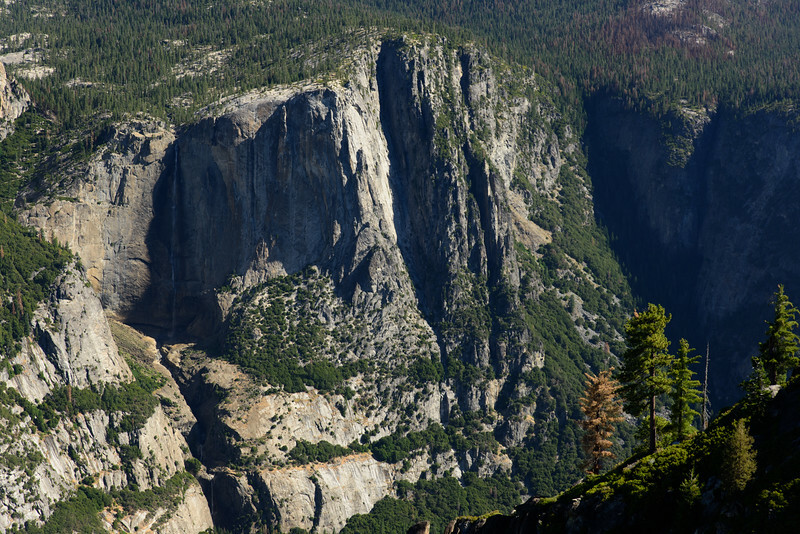 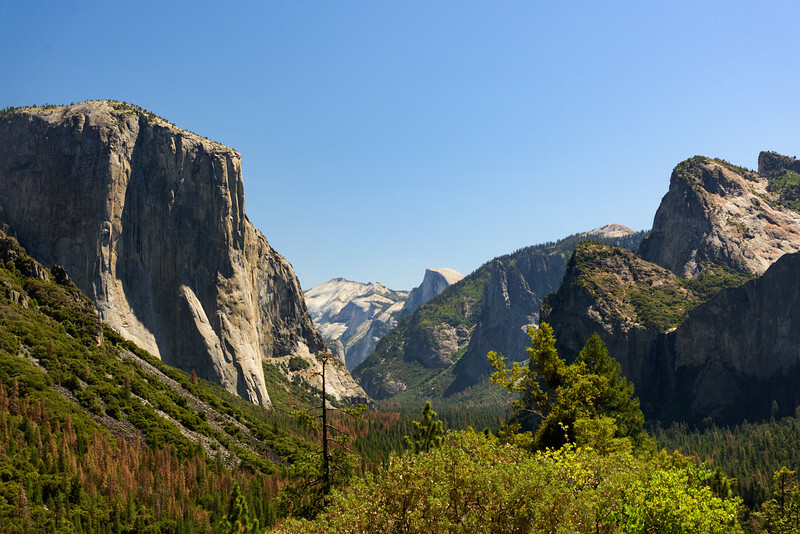 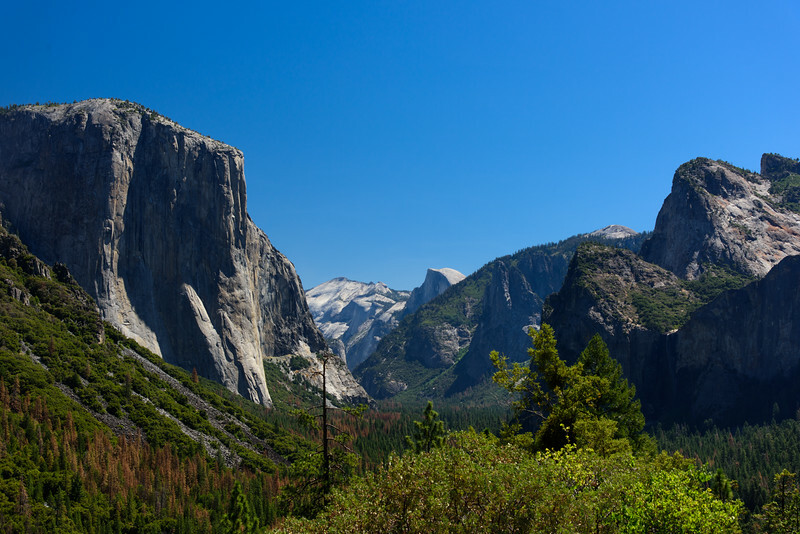 The Valley Loop Trail circles Yosemite Valley, as its name suggests. 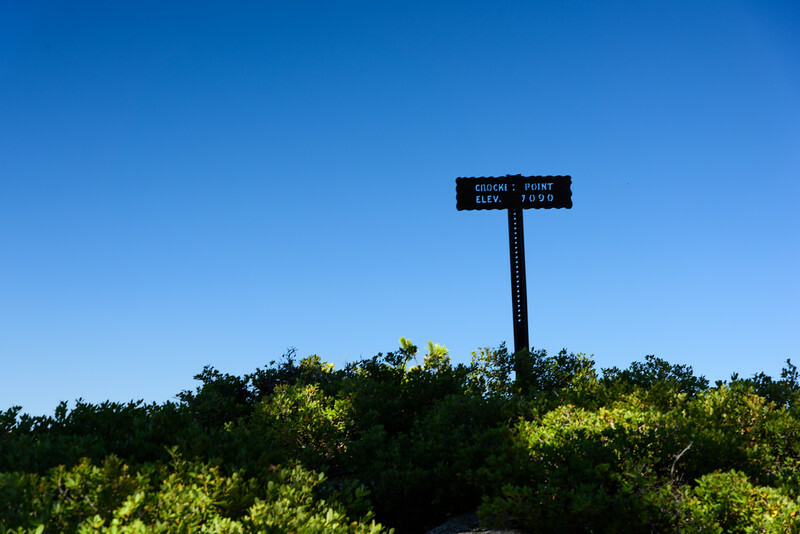 I took the VLT from my campsite in the valley to the Pohono trailhead, my starting point. 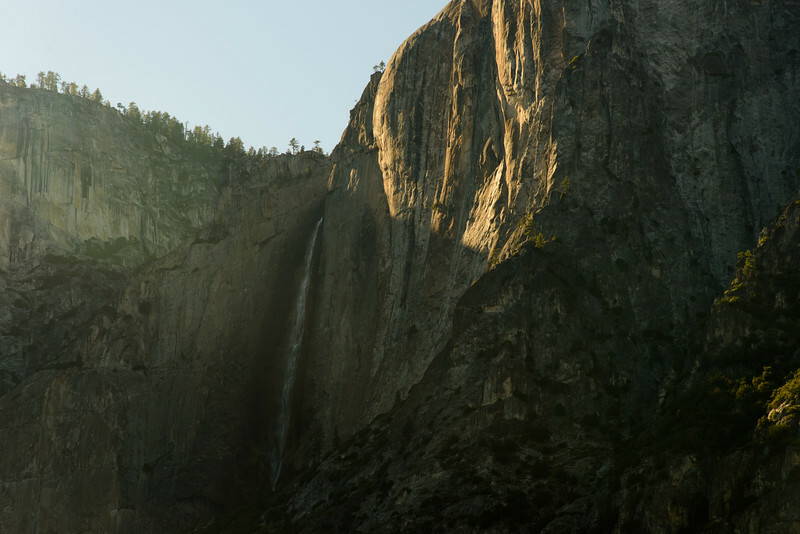 In my planning, I overlooked this minor detail, not including it in my daily mileage. 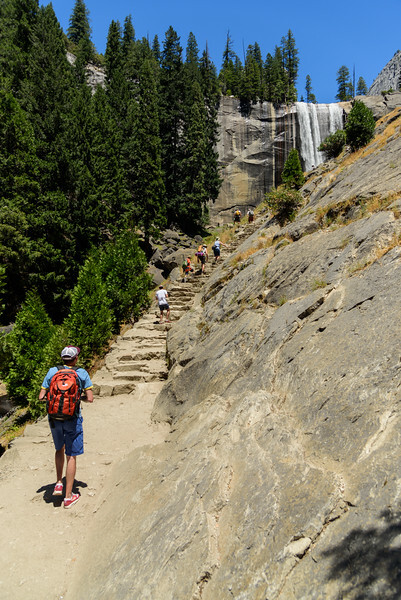 My pre-hike hike ended up being over seven miles. 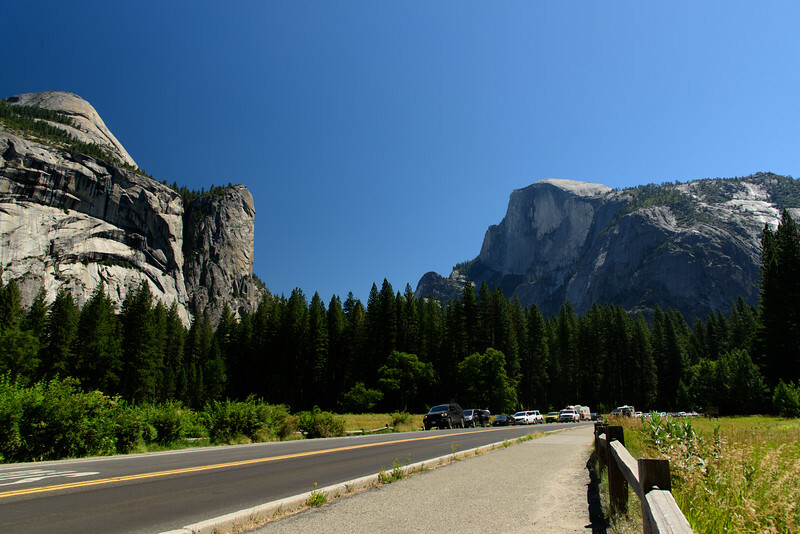 The Iconic view from the entrance to Yosemite Valley. 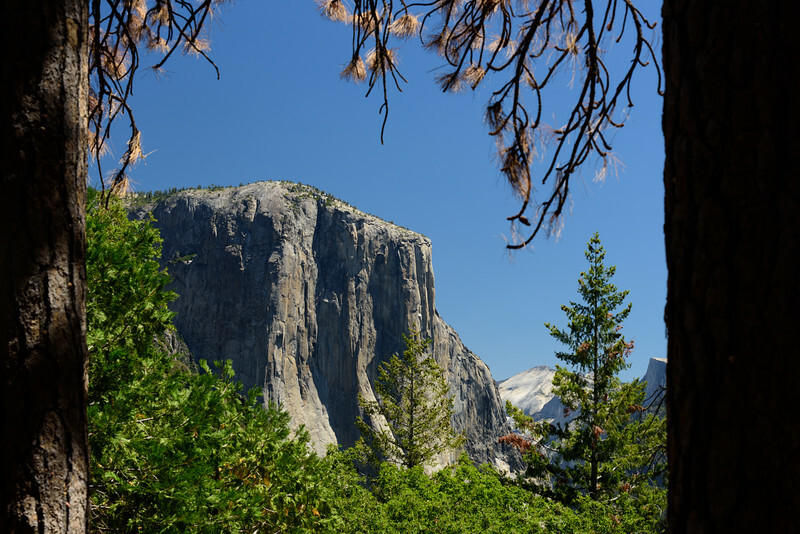 My view of El Capitan from midway up the Pohono Trail. 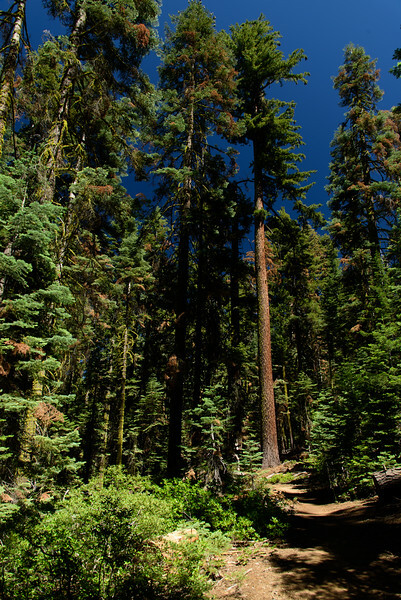 Extremely large trees (to my eyes anyway) are common in the Sierra Nevada. 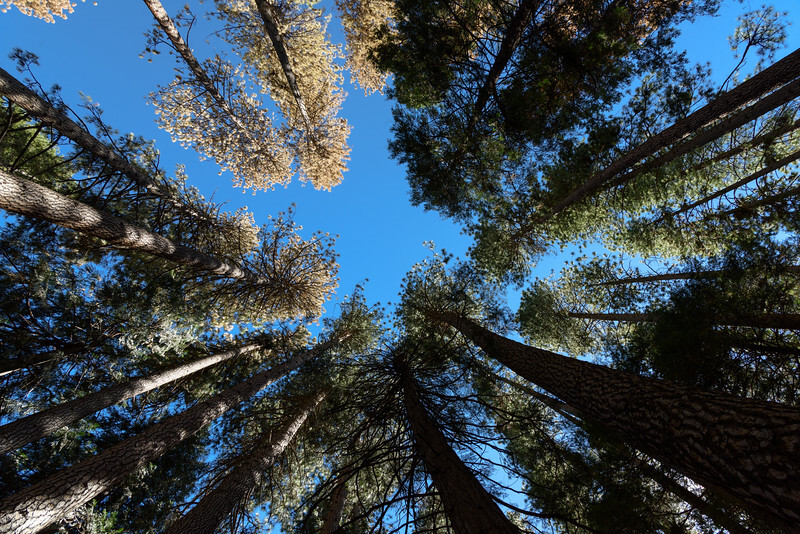 Here are some tall sugar pines along the Pohono Trail. 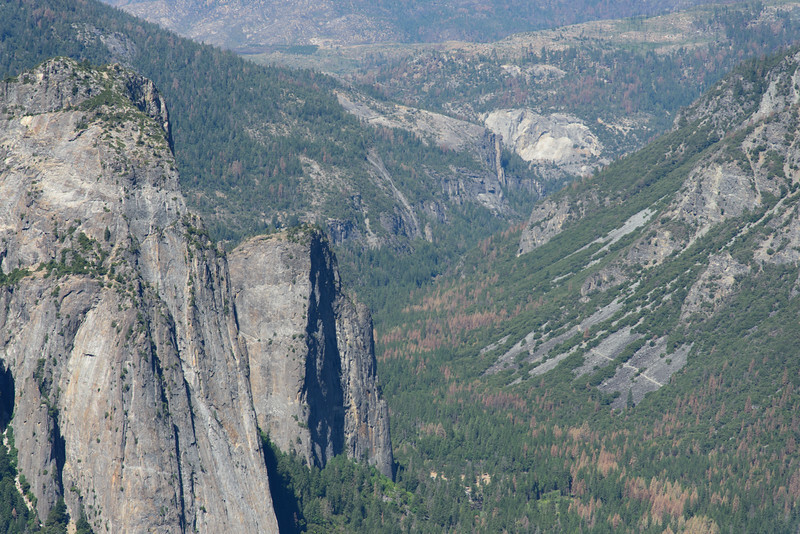 After ascending 3,000 feet from the valley floor, I could look back down into the valley from Old Inspiration Point. 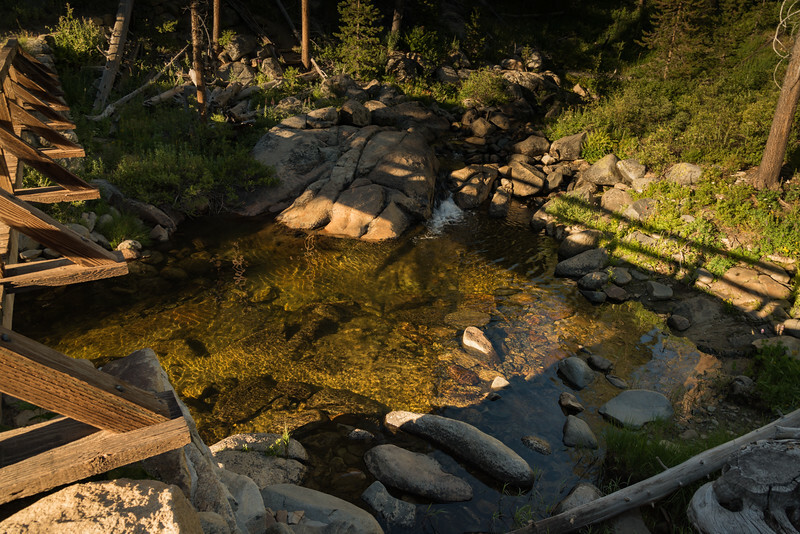 My first campsite in the backcountry was located next to a footbridge over Bridalveil Creek. 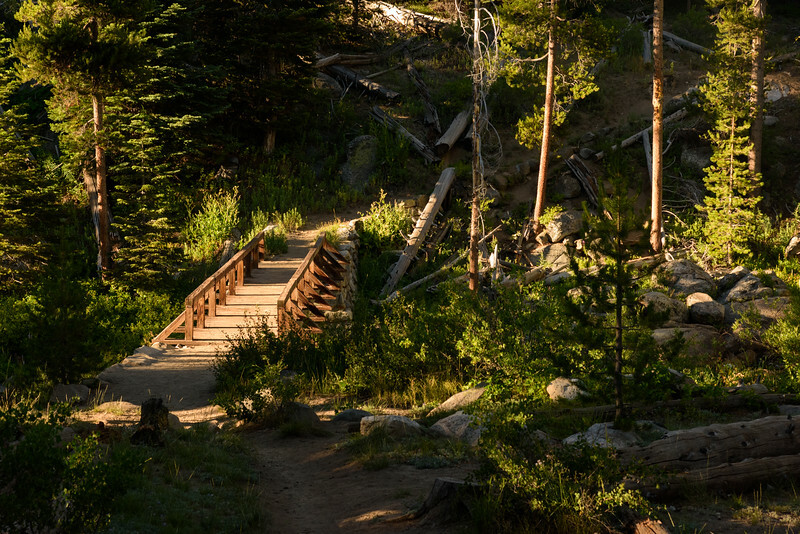 The footbridge next to my campsite. 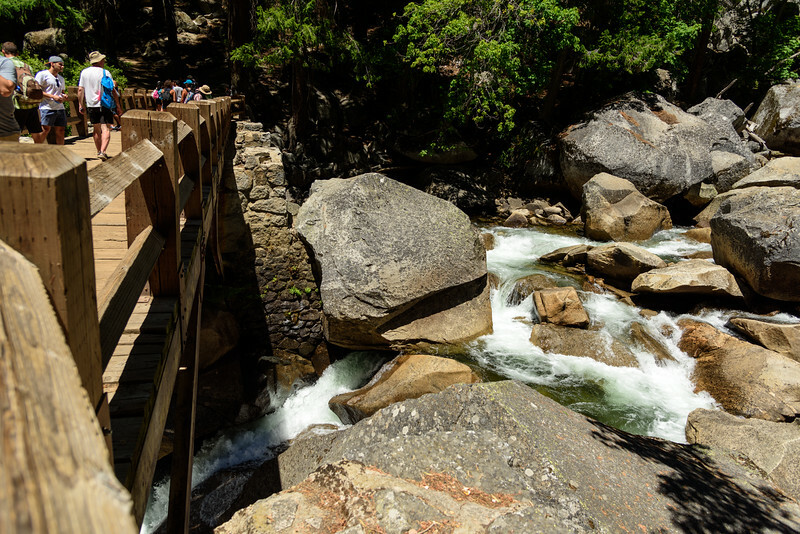 There was a nice swimming hole underneath the bridge, but I arrived too late to cool off. 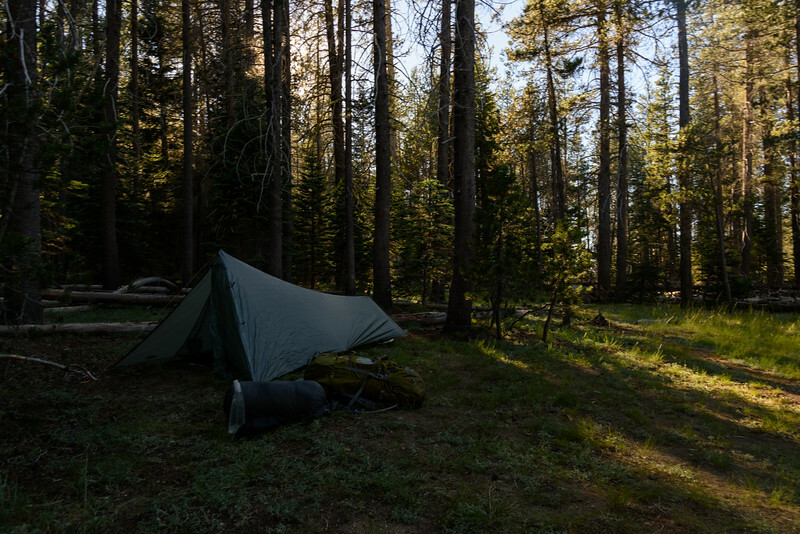 I had time to set up my tent, refill my water, and eat dinner. 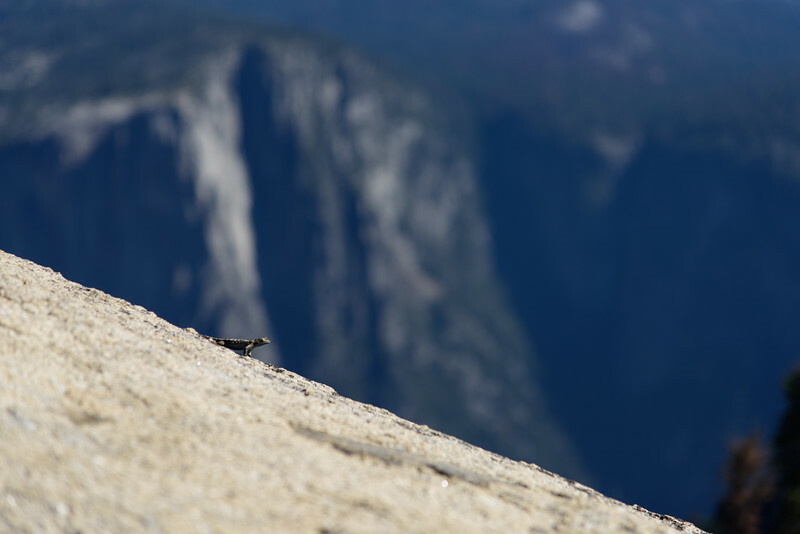 In the chaparral eco-zone that is found at certain elevations within Yosemite (and California as a whole), these lizards proliferate. 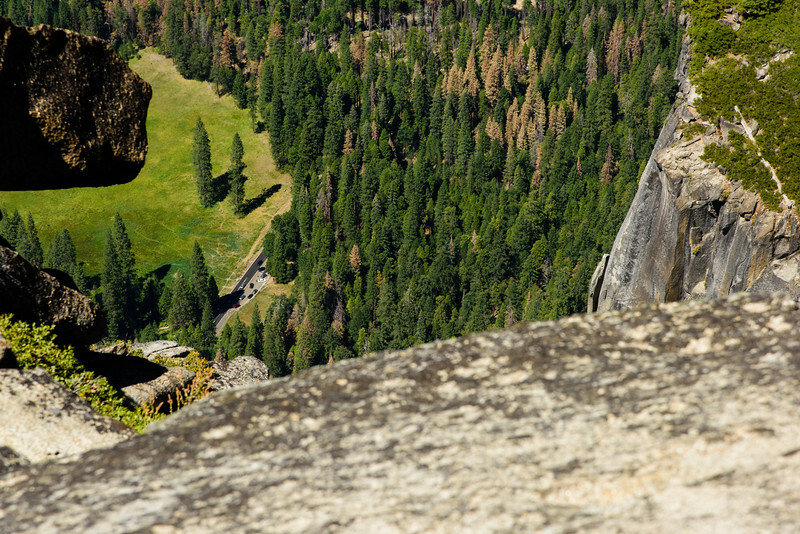 Here, I'm looking toward Taft Point. 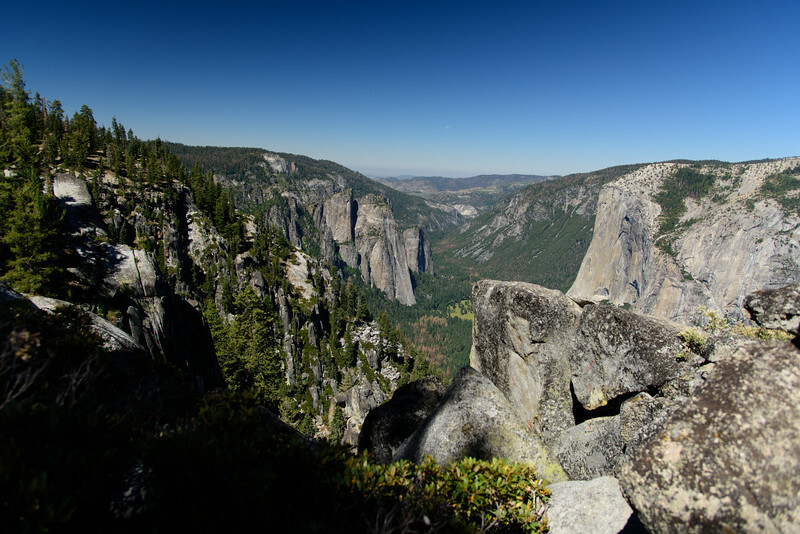 Yosemite Falls is in the distance, to the left. 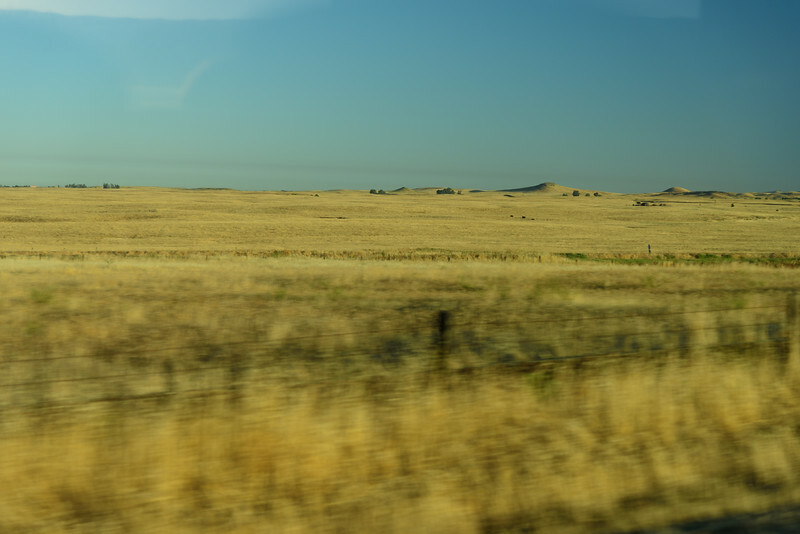 Mount Hoffman can be seen on the horizon. 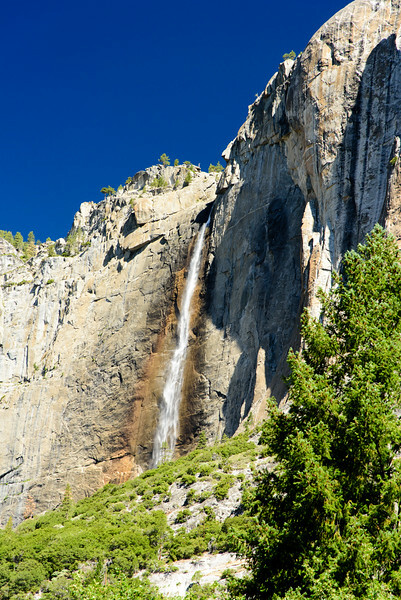 Yosemite Falls closeup from across the Valley. 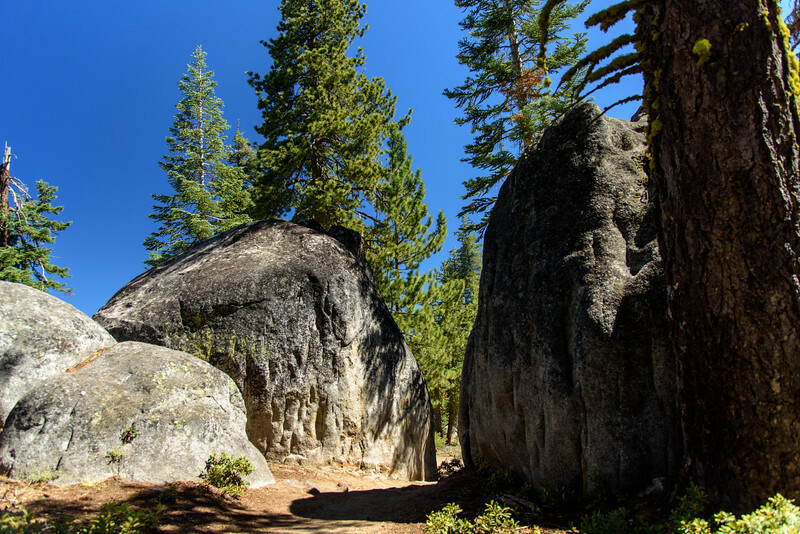 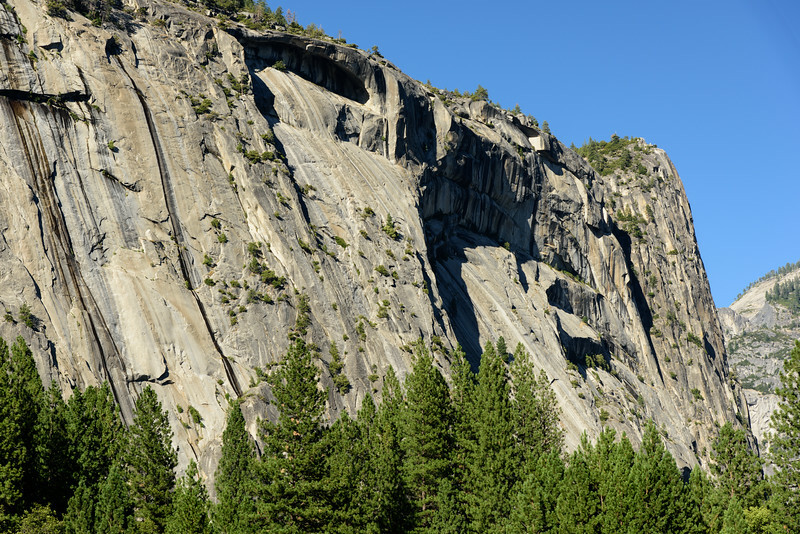 You get used to the large boulders everywhere in Yosemite pretty quickly, but its still easy to be impressed by them. 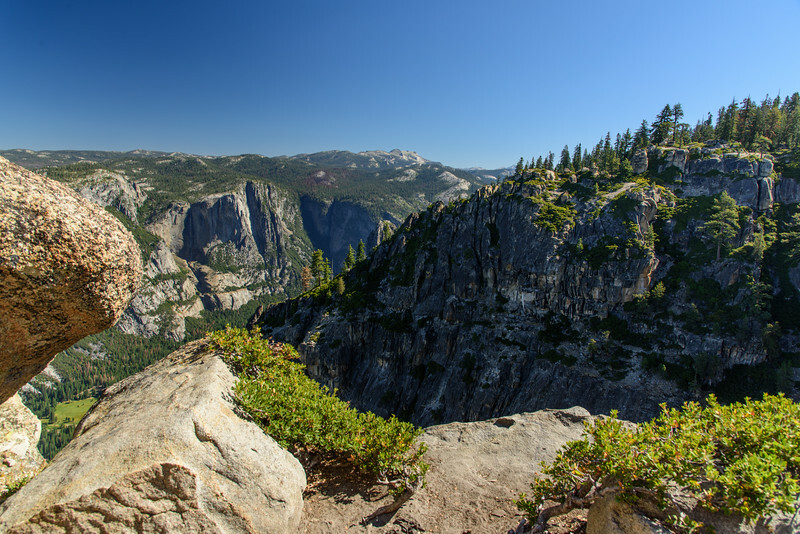 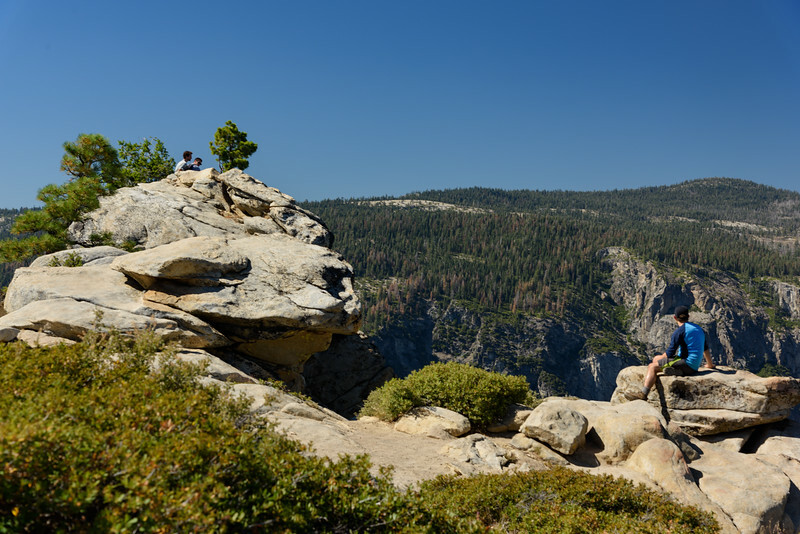 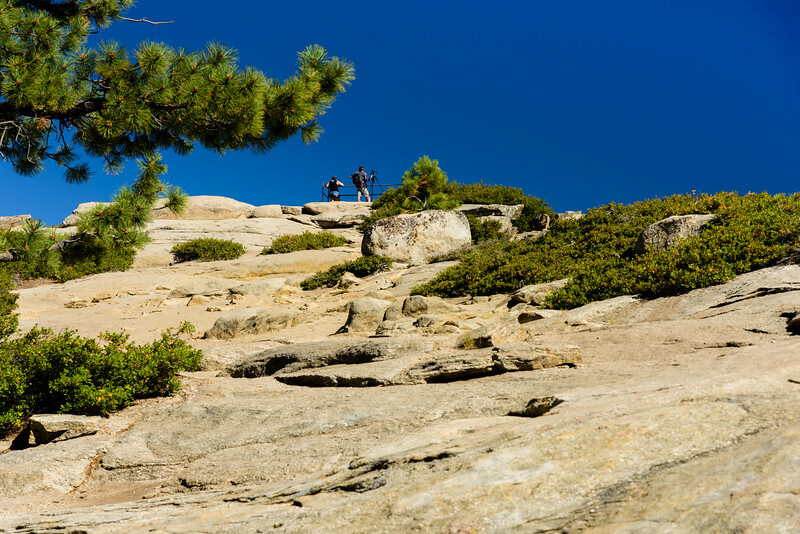 From a place near Taft Point, here I'm looking back towards Tunnel View and where I started.